ReplicaSi was mandated by the Court to discontinue the sales of replica goods. 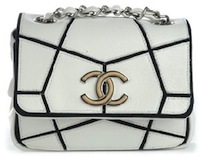 Following the lawsuit that was filed, the Court found that the replica store was offering and selling Chanel replica handbags, sunglasses and other replica products. The ruling included the Order of the Federal Court of the United States of America that the operators discontinue the illegal enterprise of offering to sell replica Chanel items. REPLICASI formerly was an online shop that was closed down for selling illegal products such as replica Chanel, including Chanel chain shoulder bags for USD $70.00, Chanel handbags for USD $57.00, and trolly bags for USD $163.00. Whether it is a replica Chanel purse, knockoff pair of sunglasses, or a fake Chanel watch, ReplicaSi has abandoned the business of offering illegal items. Join us in celebrating CHANEL, and discouraging the sales and purchases of replica products.